For newcomers to cryptocurrency, the terminology can be quite confusing and even misleading. Some people refer to Bitcoin when talking about blockchain technology, while others will mention blockchain when talking about cryptocurrencies in general. However, these terms are not really interchangeable: they refer to distinct but connected concepts. Thus, it is important to understand the differences between them. 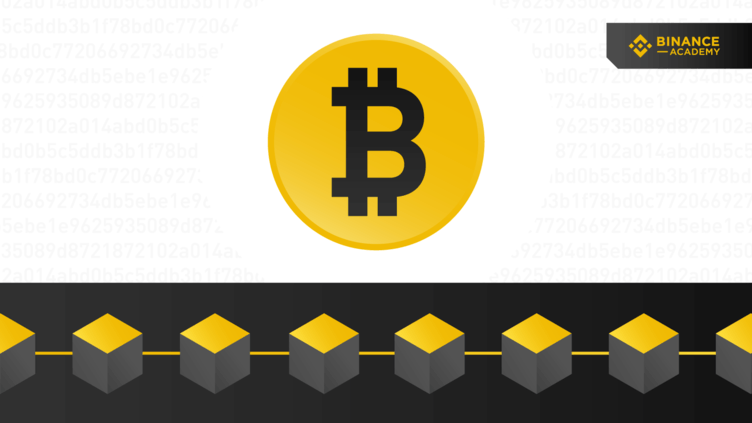 Hereby we introduce you the basics of blockchain technology, cryptocurrencies, and Bitcoin. Websites are a specific technology used to share information. Search engines are one of the most popular and well-known ways to use website technology. In turn, Google is one of the most popular and well-known examples of a search engine. Blockchain is a specific technology used to record information (data blocks). Cryptocurrency is one of the most popular and well-known ways to use blockchain. In turn, Bitcoin is the first and most popular example of a cryptocurrency. Most blockchains are designed as a distributed and decentralized digital ledger. In simple terms, blockchain is a digital ledger that is basically an electronic version of a paper ledger, and it is responsible for recording a list of transactions. More specifically, a blockchain is a linear chain of multiple blocks that are connected and secured by cryptographic proofs. Blockchain technology may also be applied in other activities that do not necessarily require financial operations, but in the cryptocurrencies context, they are responsible for keeping a permanent record of all confirmed transactions. 'Distributed' and 'decentralized' refers to the way the ledger is structured and maintained. To understand the difference, think about common forms of centralized ledgers such as public records of home sales, a bank's record of ATM withdrawals, or eBay's list of sold items. In every case, only one organization controls the ledger: a government agency, the bank, or eBay. Another common factor is that there's only one master copy of the ledger and anything else is simply a backup that is not the official record. Therefore, traditional ledgers are centralized because they are maintained by a single entity and are usually reliant on a single database. In contrast, a blockchain is usually built as a distributed system that functions as a decentralized ledger. This means that there is no single copy of the ledger (distributed) and no single authority in control (decentralized). Simply put, every user that decides to join and participate in the process of maintaining a blockchain network keeps an electronic copy of the blockchain data, which is frequently updated with all the latest transactions, in synchrony to the other user’s copies. In other words, a distributed system is maintained by the collective work of many users, which are spread around the world. These users are also known as network nodes, and all these nodes participate in the process of verifying and validating transactions, according to the rules of the system. Consequently, the power is decentralized (there is no central authority). Blockchain takes its name from the way records are organized: a chain of linked blocks. Basically speaking, a block is a piece of data that contains, among other things, a list of recent transactions (like a printed page of entries). The blocks, as well as the transactions, are public and visible, but they cannot be altered (like putting each page into a sealed glass box). As new blocks are added to the blockchain, a continuous record of linked blocks is formed (like a physical ledger and its many pages of records). This was a very simple analogy, but the process is much more complex than that. One of the main reasons why blockchains are so resistant to modification is the fact that the blocks are linked and secured by cryptographic proofs. In order to produce new blocks, participants of the network need to engage in a costly and intensive computational activity known as mining. Basically, miners are responsible for verifying transactions and grouping them into newly created blocks that are then added to the blockchain (if certain conditions are met). They are also responsible for introducing new coins into the system, which are issued as a reward for their job. Every new confirmed block is linked to the block that came immediately before it. The beauty of this setup is that it is practically impossible to change the data in a block once it's been added to the blockchain because they are secured by cryptographic proofs, which are very costly to be produced and extremely difficult to be undone. Summing up, a blockchain is a chain of linked data blocks that are organized in a chronological order and are secured by cryptographic proofs. In simple terms, a cryptocurrency is a digital form of money that is used as a medium of exchange within a distributed network of users. Unlike traditional banking systems, these transactions are tracked through a public digital ledger (the blockchain) and may occur directly between the participants (peer-to-peer) without the need for intermediaries. 'Crypto' refers to the cryptographic techniques used to secure the economic system and to ensure that the creation of new cryptocurrency units and the validation of transactions go smoothly. Although not all cryptocurrencies are mineable, the many that, like Bitcoin, are reliant on the process of mining, have a slow and controlled growth of their circulating supply. Therefore, mining is the only way to create new units of these coins and this avoids the risks of inflation that threat the traditional fiat currencies, where a government is able to control the money supply. Bitcoin is the first cryptocurrency ever created and is, naturally, the most famous one. It was introduced in 2009 by pseudonymous developer Satoshi Nakamoto. The main idea was to create an independent and decentralized electronic payment system based on mathematical proofs and cryptography. Despite being the most well-known, Bitcoin is not alone. There are many other cryptocurrencies, each with its own particular features and mechanisms. Furthermore, not all cryptocurrencies have their own blockchain. Some were created on top of an already existing blockchain, while others were created completely from scratch. As most cryptocurrencies, Bitcoin has a limited supply, which means that no more Bitcoins will be generated by the system after the max supply is reached. Although this varies from project to project, the max supply of Bitcoin is set to 21 million units. Usually, the total supply is public information that is defined when the cryptocurrency is created. You can check the circulating supply and Bitcoin Price on Binance Info. The Bitcoin protocol is open source and anyone can review or copy the code. Many developers around the world contribute to the development of the project.